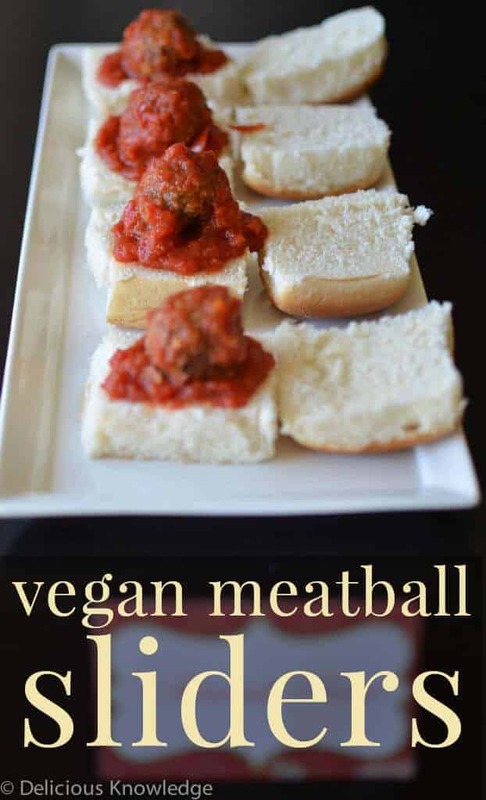 My favorite part about this vegan meatball sliders appetizer is that they can be made ahead of time and assembled right before you need them. 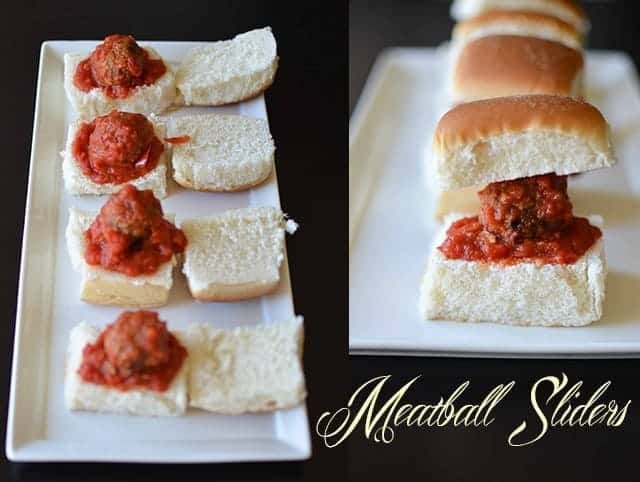 Following up from yesterday’s post on my vegan cocktail party menu, I am excited to share my meatball slider recipe with you today. My favorite part about this appetizer is that they can be made ahead of time and assembled right before you need them. If you want a make-ahead option, make and bake the balls, then freeze. To heat up, warm spaghetti sauce in either a saucepan or crock pot and add the meatballs. Once thawed and warmed through, add to the slider buns! For the party, I choose the crockpot option for an easy serve option and to keep the stove free of clutter. Add the onion a pinch of salt, and saute until translucent. Add the garlic, red pepper flakes, dried oregano and basil. Stir together and cook another 2-3 minutes. Add the mushrooms, reduce the heat to medium-low and cook until mushrooms are reduced and browned. Stir in the red wine and deglaze, scrapping up any browned bits at the bottom of the pan. Continue to cook until the liquid has evaporated. Add the mixture to a food processor bowl along with the beans, carrots, and sun-dried tomatoes. Pulse until mixture comes together. Add the breadcrumbs, nutritional yeast, parsley, and pinch salt/pepper. Pulse to combine. 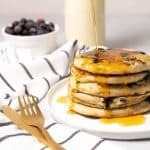 You don’t want a puree, but it should stick together with relative ease. Place in a bowl and let chill in the refrigerator for 1/2 hour. 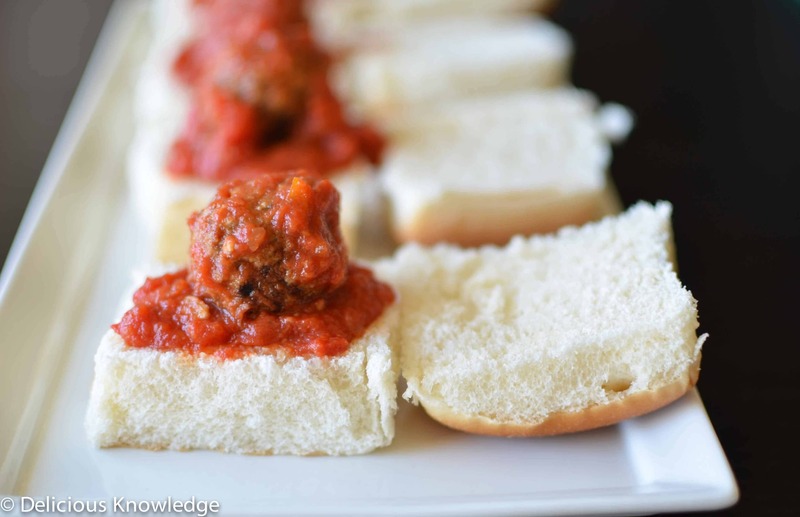 Roll into balls, for the sliders, they should be big enough to place onto a slider bun. If you are making this for another use, you can make the meatballs as large/small as you desire. Cooking step 1, saute: Heat 1 tbsp. olive oil in a saute pan and add the formed balls. Cook over medium-high heat for about one minute on each side. You want the balls to get slightly crunchy/browned on the outside. Cooking step 2, Add the browned balls to a lightly sprayed or parchment lined baking sheet and cook at 375 degrees F for 20 minutes. Warm the marinara sauce in a saucepan & add the meatballs. Place a meatball and 1 tbsp. spaghetti sauce on each slider bun. 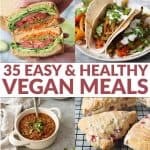 That sounds and looks so amazing…after trying vegan (cashew) cheez which used Natural Mesquite (H20, natural mesquite smoke flavor, vinegar, molasses, caramel color). That might be a good addition to make them smoky, grilled or BBQ’d. Just a thought…will put this on the recipe list to try…TU for sharing. Great ideal Millie! 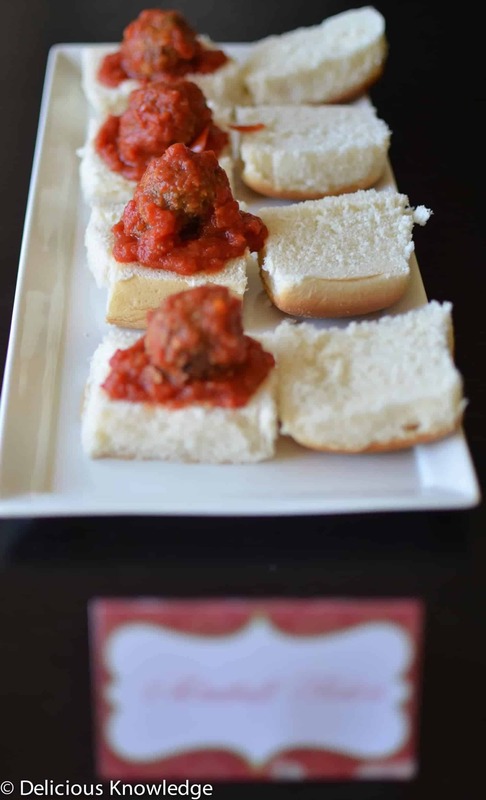 I am actually planning on using a similar meatball for BBQ meatballs this weekend for another party! I will have to try that cheese!